They had put on their best outfits. Some wore thick camo pants, some wore black sweatsuits. Others had on their clout glasses, Lil Uzi Vert tee-shirts, and bucket hats. 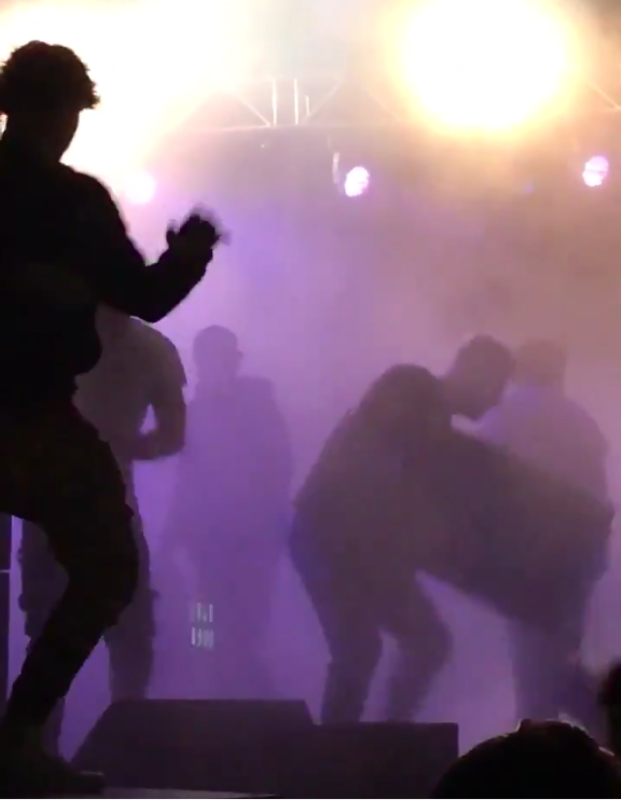 On Sunday night fans rioted after Lil Uzi Vert didn’t show up for his 9:45 p.m. show. This came after other acts like Trippie Redd and Ski Mask The Slump God were cancelled due to passport issues with the artists. At about 11:30 p.m. the stage crew barely had time to walk off stage before fans jumped over the gates and onto the stage, setting off a smoke machine, and trashing equipment. Speakers on the ground were then toppled, while subwoofers were thrown off the stage. Some fans who left the crowd went on to break ATM machines, turn over outdoor toilets, throw garbage on the ground, while others set fires before leaving the venue. Fans who came to see Lil Uzi Vert started to get impatient after waiting at the main stage all day under the hot sun. Their frustration was likely exacerbated as the same six jazz songs had been playing since Oh Wonder had finished their set 45 minutes ago. With 15 minutes left to curfew for all outdoor shows, fans realized the show wouldn’t go on but refused to budge. By 11:30 p.m. a festival employee walked on stage. Fans did not leave calmly and respectfully. One-day passes for Sunday were $50 and some fans had also paid $300 for three-day VIP passes. Festival organizers said in a statement they tried their best to negotiate with authorities to grant the three acts entrance to the city, as they had already arrived at the Dorval airport.